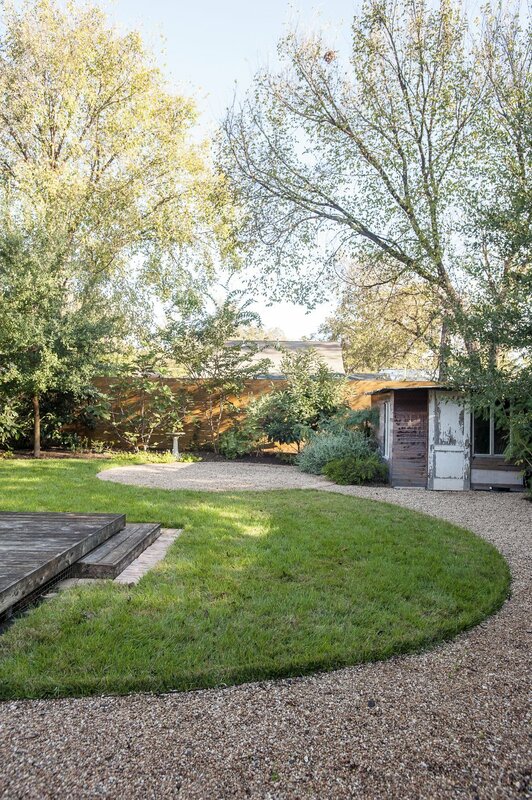 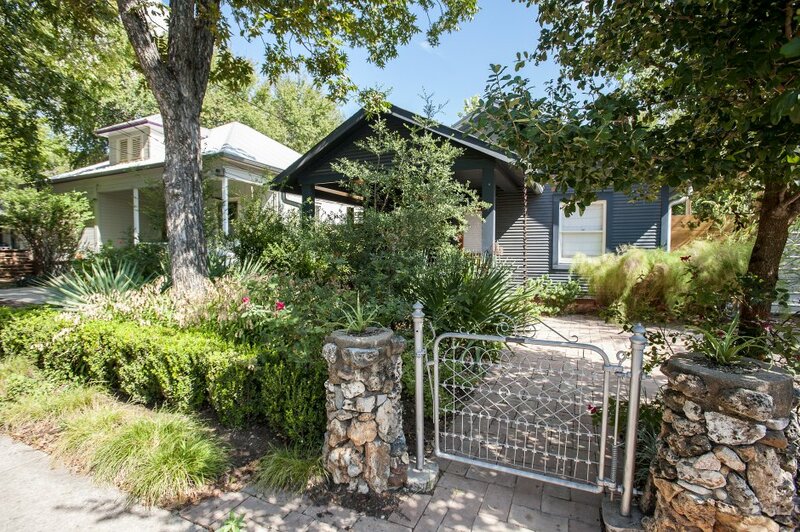 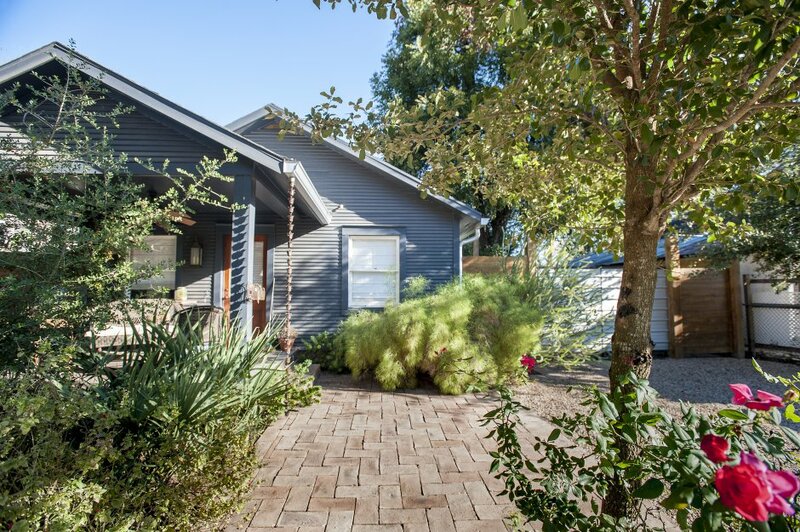 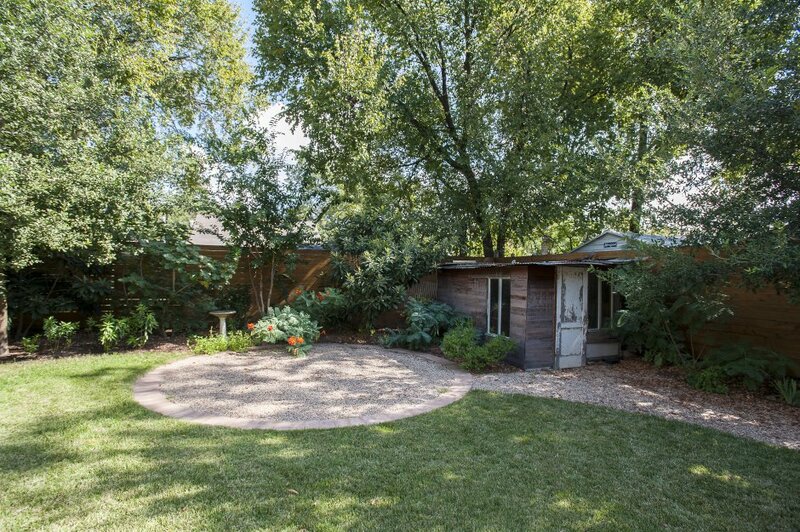 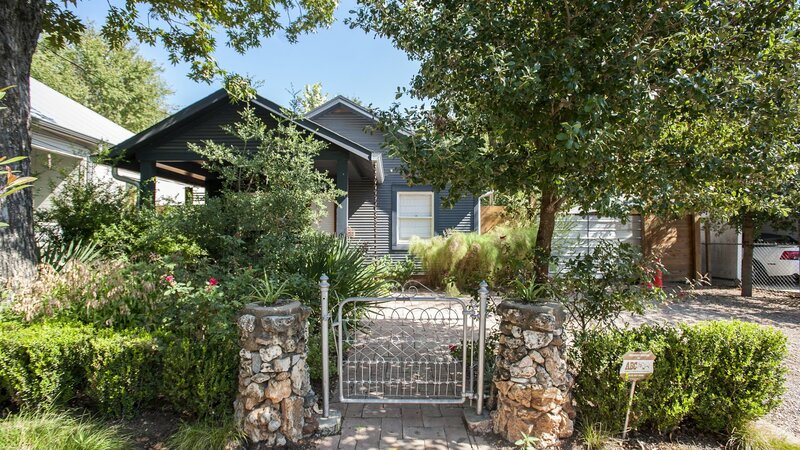 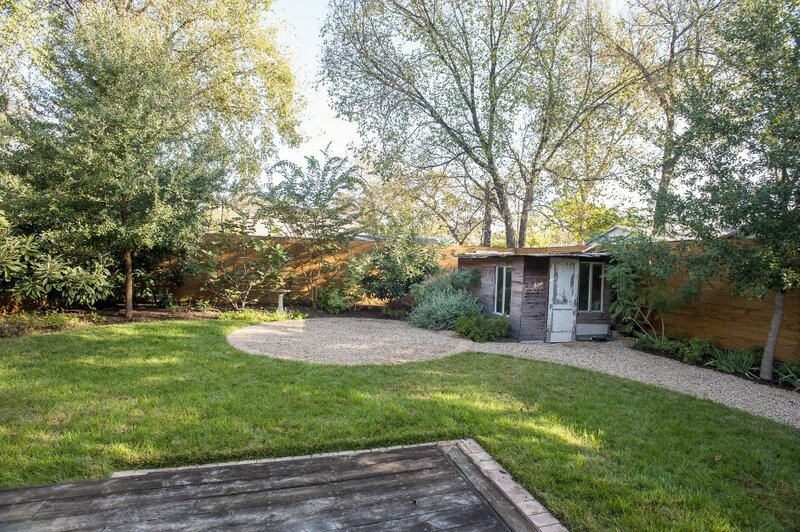 This adorable bungalow home has Adobe brick from mexico creating the pathways in a herringbone pattern. 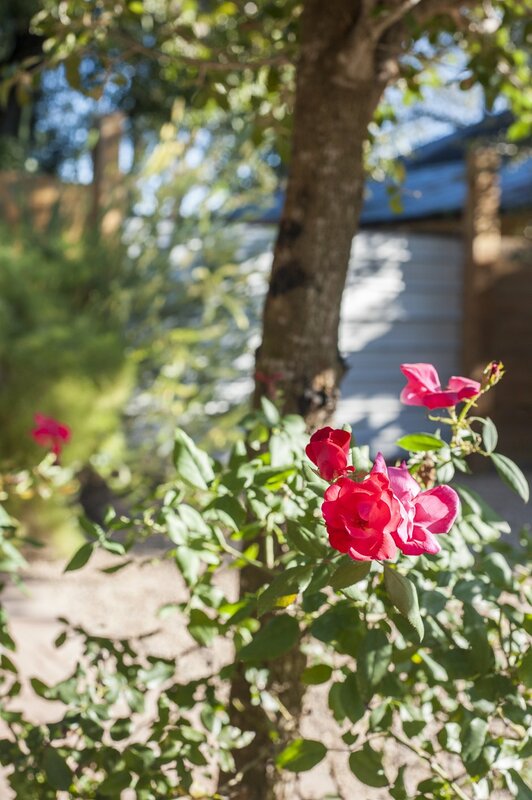 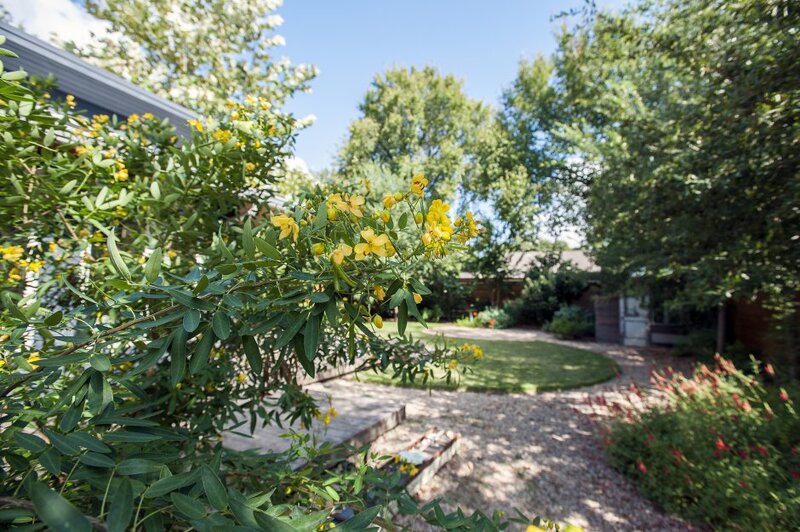 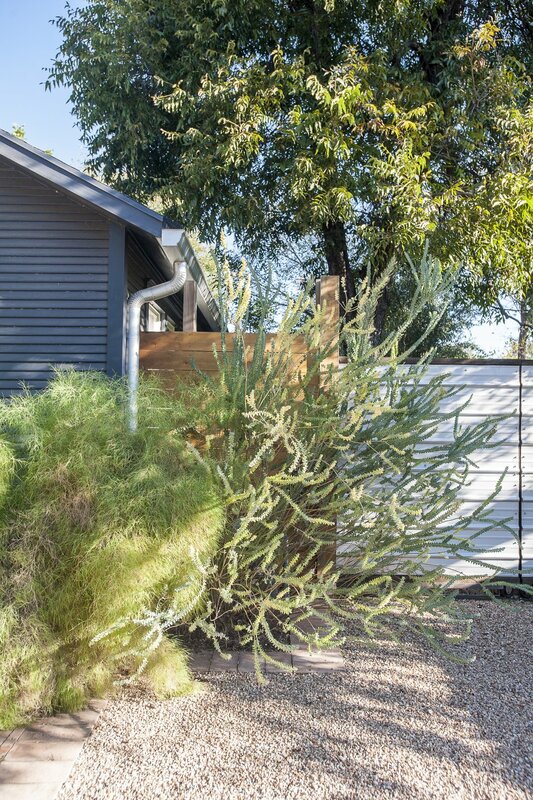 The yard is adorned with several butterfly and bird plants which give privacy to the front porch, but keep it open and friendly to neighborhood. 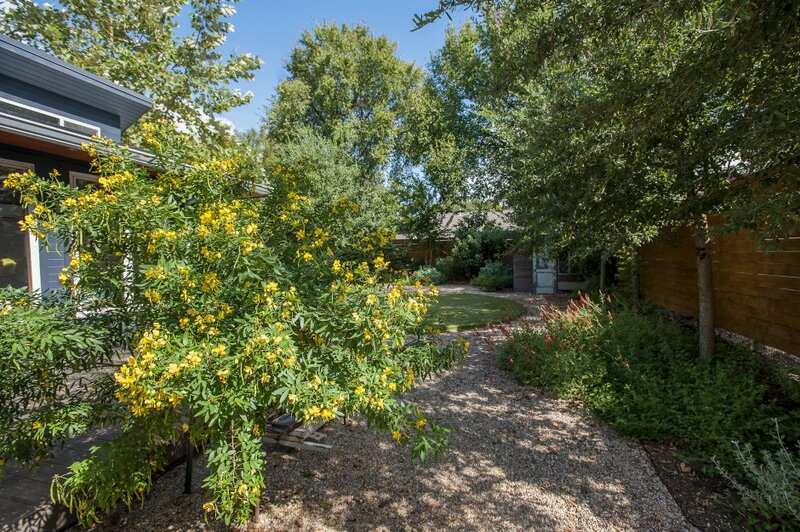 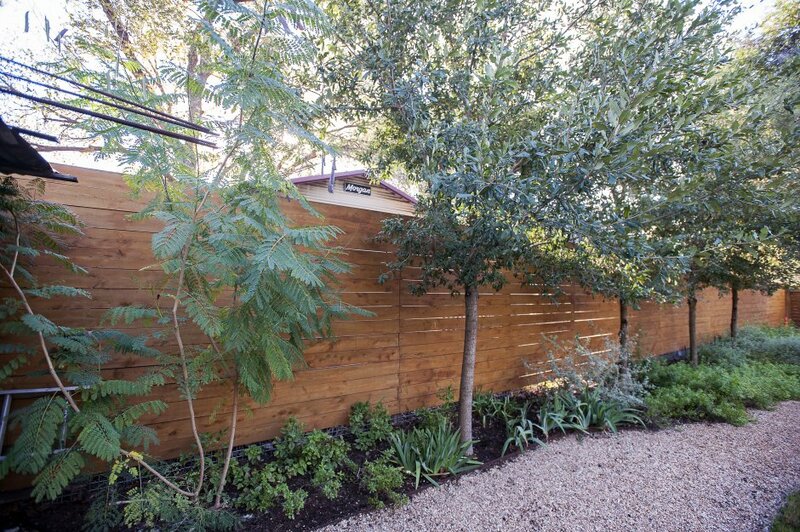 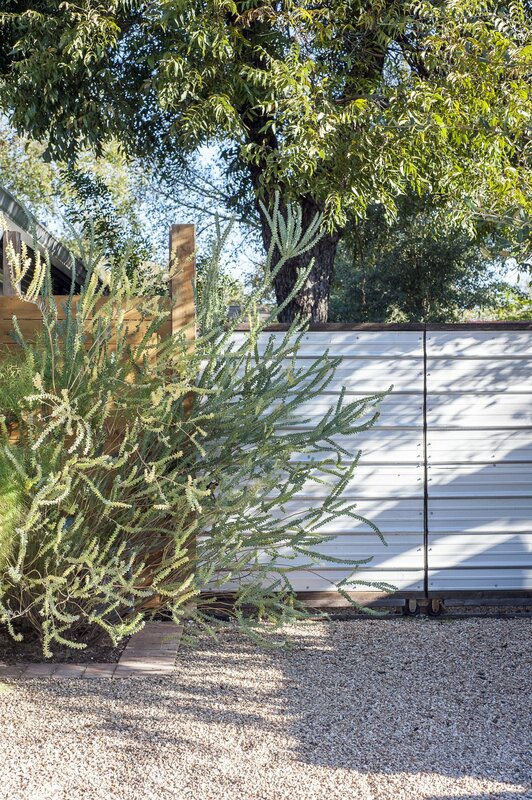 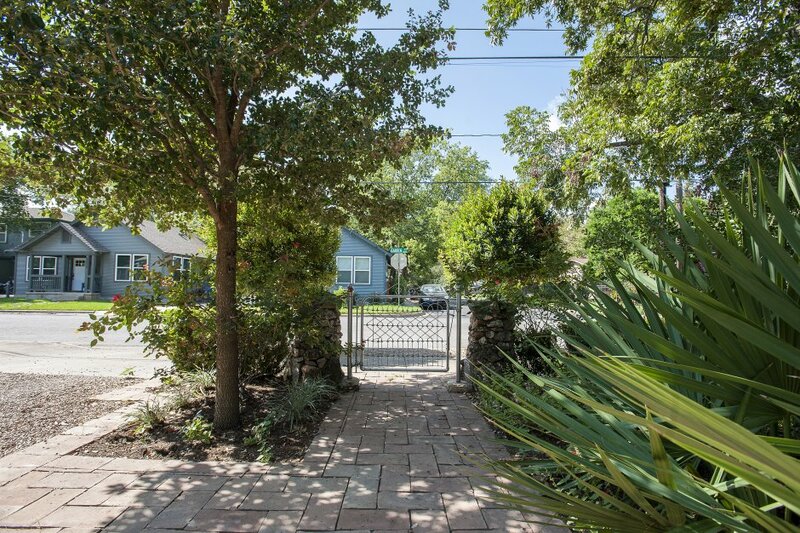 Instant age and privacy is created in back with large live oaks and mexican sycamore trees. 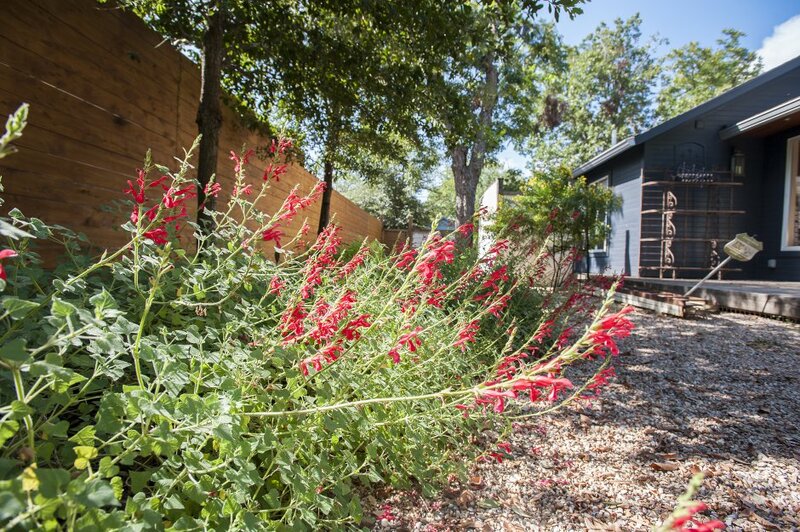 While natives like tropical salvia and butterfly weed dot the landscape.